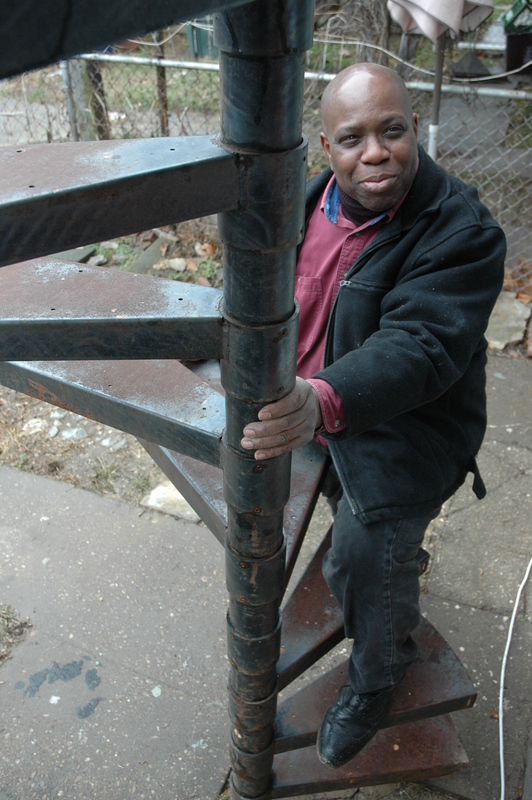 This spiral staircase Kenny Brown purchased at the Community Forklift will connect the deck he will be adding to the back of his District of Columbia rowhouse to a patio and hot tub below. Most people likely see the back wall of Kenny Brown’s first-floor sitting room for what it is: three double-hung vertical windows stationed above a radiator painted gold. Instead, the energetic and ambitious 51-year-old imagines what the nine-foot high, 11-foot wide opening could be. 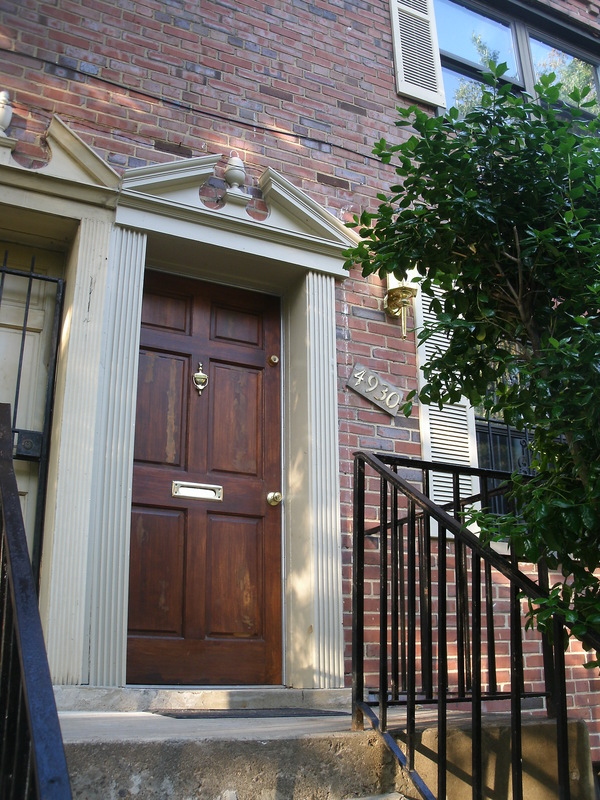 He envisions installing French doors that open onto a deck to take full advantage of his Northwest Washington brick rowhouse’s southern exposure. From the deck, stairs will spiral to a planned patio and hot tub below. “To be a visionary, you can’t just think about what’s in front of you,” the Washington, D.C., native explained about making the ho-hum unique. “It requires you to think about what’s ahead of you. For this still-on-paper design venture, he’s already harvested the metal spiral staircase from the Community Forklift. And he expects the Forklift’s 40,000-square foot warehouse in Edmonston to play an integral role not only on his deck project but also as he bravely embarks on a career makeover. The longtime engineer and information technology specialist is in the midst of morphing himself into the founder and leader of his own residential design and construction startup that merges art, engineering and technology. He will be ready to launch what he has christened New Home Images and Technologies Inc. this spring after he wraps up a couple of local classes he’s enrolled in that are aimed at entrepreneurs. 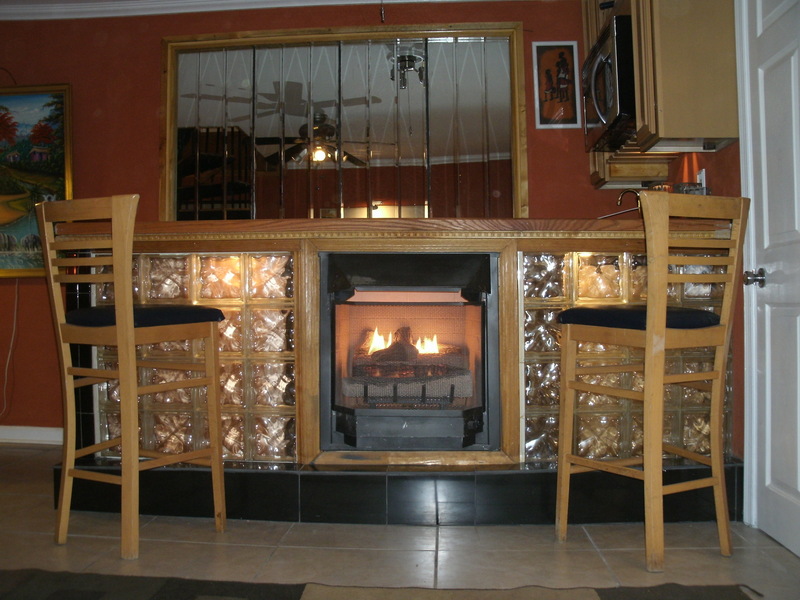 Glass blocks from the Forklift are the “bookends” for a home bar with a natural gas fireplace. 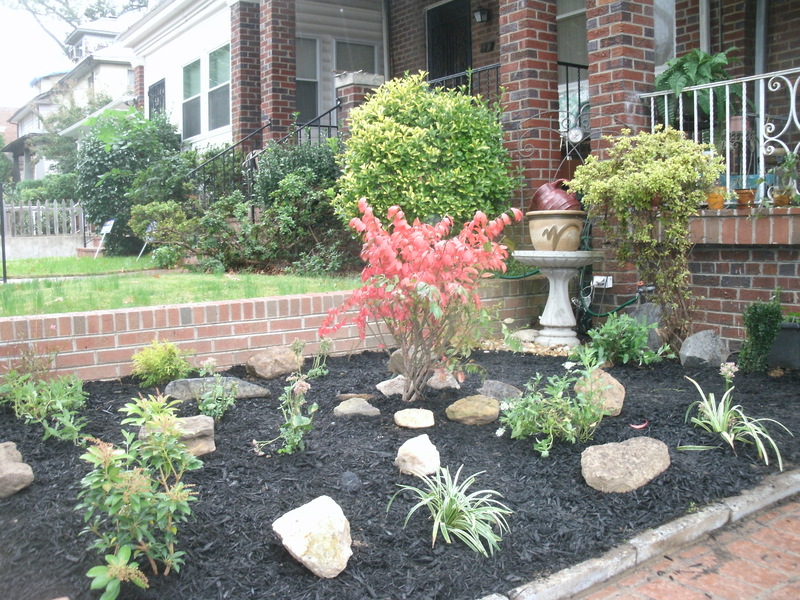 Rocks from the Forklift make Brown’s front yard unique in his South Manor neighborhood. Initially, Brown’s Forklift-inspired business would require him to work as a general contractor on homes that others own, which would allow him to build a portfolio, a reputation and capital. His customers would benefit from lower prices because he would include Community Forklift savings into his bills. Eventually, he wants to evolve into a developer and investor so he can be buying and selling the homes he renovates in metro Washington. In the meantime, he practices his tasteful design skills on the two houses he owns —his residence in the unit block of Longfellow Street NW in the South Manor neighborhood and a town home he rents out on the 4900 block of Just Street NE in Deanwood. The homes are tributes to Brown’s prized principles of color, contrast, flow, lighting, parallelism and symmetry, as well as the maximizing of limited square footage so common in urban households. Both houses include granite, wood, banisters, doors, sinks, shower doors, light fixtures, appliances, glass blocks and landscaping stones he has unearthed at the Forklift. Brown’s front door and the accents above it came from the Forklift. 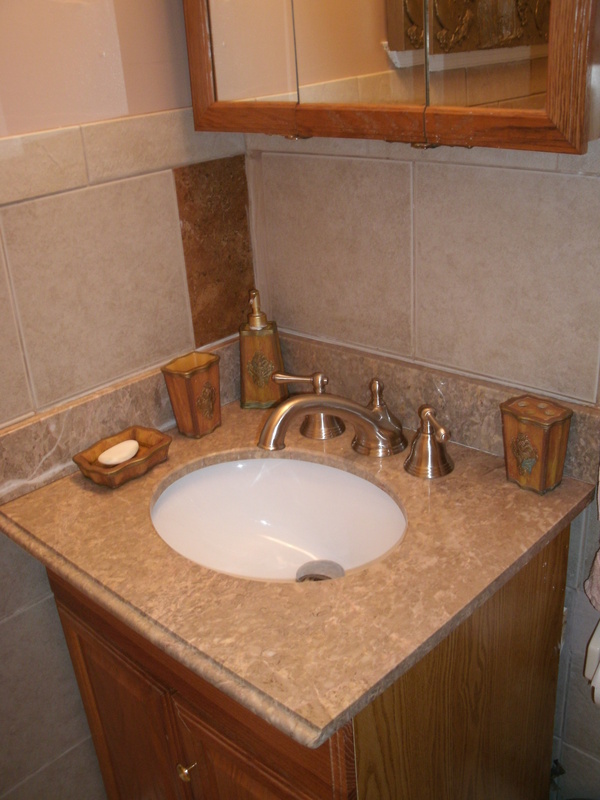 Brown jazzed up a simple Forklift sink with a fancy faucet. can contribute to annoying clutter in so many households. 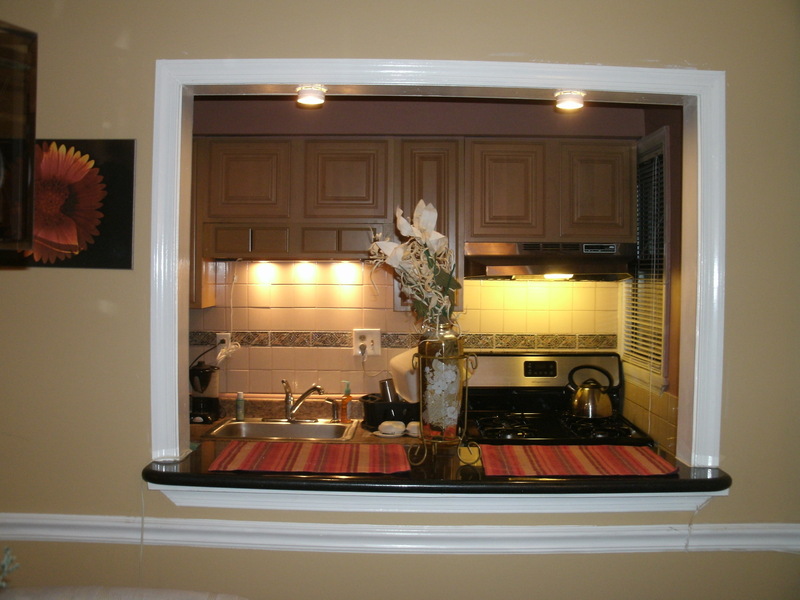 Two flights down, the basement is a testimonial to what Brown described as “taking the basement out of the basement.” By creatively deploying color, light and mirrors as well as strong verticals and horizontals, he has modified what could be a cramped and unappealing area into an office, kitchen and surprisingly capacious-feeling multipurpose room. The latter can serve as a wireless home theater or computer lab, a reading room, an art studio or just a refuge for watching fish swim in their wall-mounted aquarium. Forklift granite, a stove and a stove hood complete one of Brown’s kitchens. Over on Just Street, he’s incorporated glass blocks from the Forklift into a home bar he designed that also includes a gas fireplace and dressed up the front entrance with a door and ornamental flourishes from the Forklift. Brown, an Eastern High School graduate with a degree from the University of the District of Columbia, began toying with the idea of entrepreneurship about a decade ago. But it became more of a priority almost four years ago when he was laid off from his job with Sun Microsystems. Since then, he has had trouble finding another high-tech position that rewarded him with the handsome six-figure salary he was accustomed to drawing. 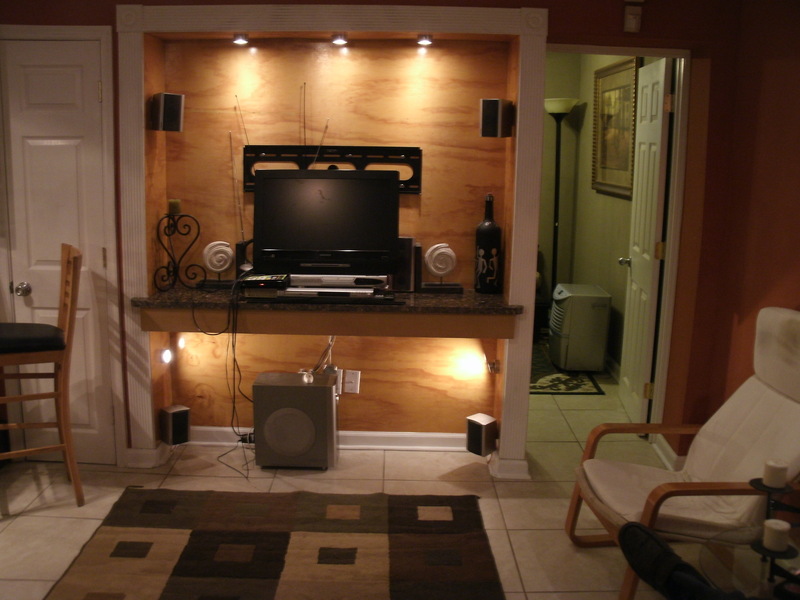 Plywood and granite from the Forklift dress up an area designed to accommodate a television, computer and other electronic components. A Forklift light highlights one piece in Brown’s extensive collection of African artwork. He’s aware that some friends are wary of his decision to switch career paths at this stage in his life. They occasionally tell him how absurd and impractical it is.